This crossing of two of our selected Best Sellers in Oakland, which give us a truly an amazing plant for its Purple Urkel flavor and, in structure, the huge flowering of the Big Bud, parental of our GDP. 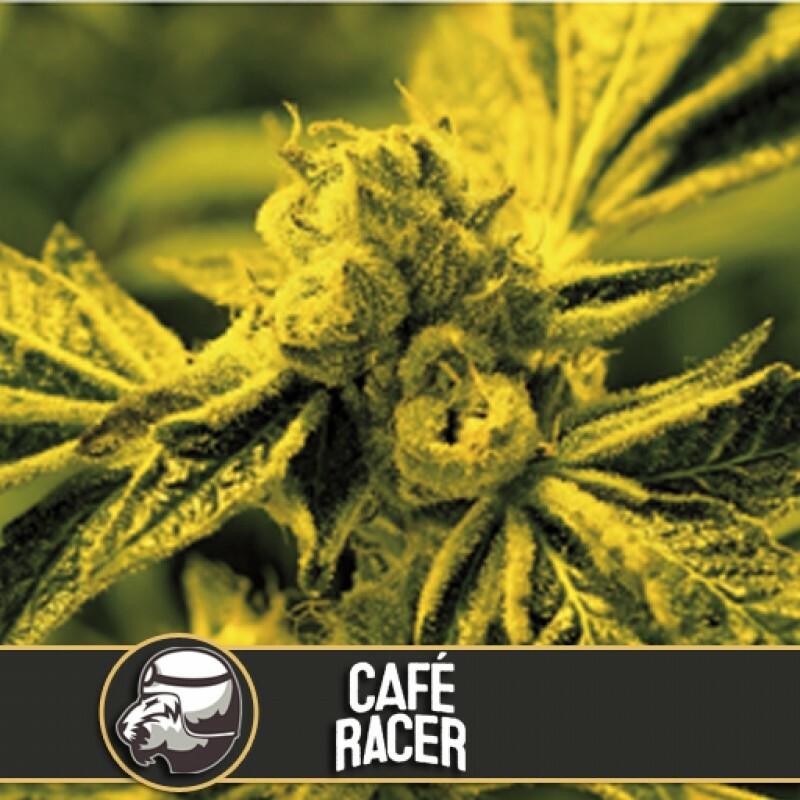 We must add the high THC percentages of the GSC, winner of many Cannabis Cup awards in the USA. The result is Café Racer, this new strain, totally original genetic, now available to all.